Nothing beats a Bag-O-Blocks from Doodletown Toys! Build a garage to park your Car or a tower for a Plane to fly around. Whatever your child’s imagination can dream up. 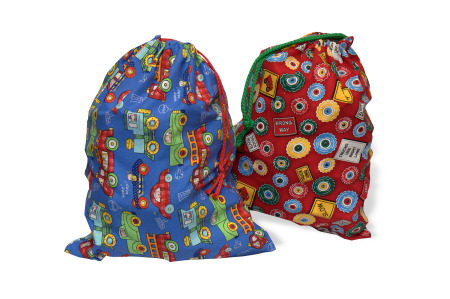 76 pieces with 8 different shapes, the Bag-O-Blocks comes in a colorful drawstring printed carry bag (patterns may vary). 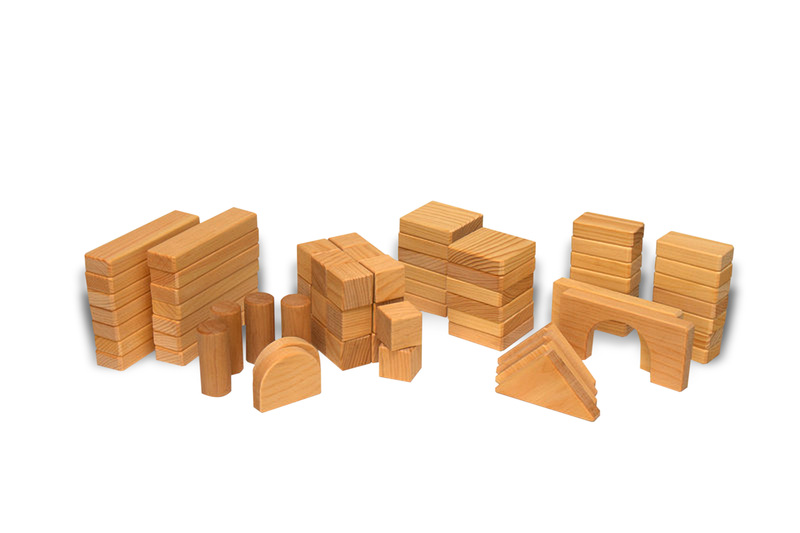 Blocks encourage creativity & open ended play for ages 2-6. Block sizes range from 1 ½ inch cubes to 3 inch x 6 inch arches + various sized rectangles, squares, triangles & pillars. Precision cut, sanded & routed (great rounded edges!) for easy stacking. Wonderful accompanying toy for the Little Toys for Little Hands!